Room 5: Busy start to the term! Busy start to the term! Room 5 has had a very busy start to the term, week 2 is nearly over already! 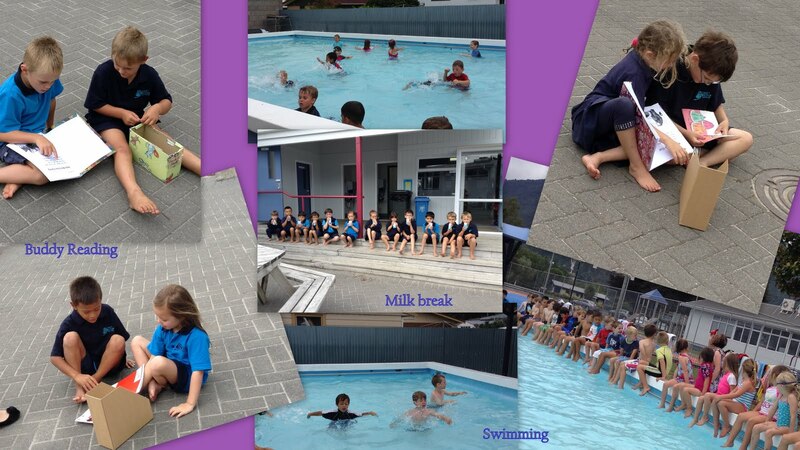 We have started swimming with Room 6 in the afternoons. At the moment we are learning to get into the pool safely We start by sitting on the edge of the pool and then slowly turn around and slide in. We are also learning how to put our heads under the water and blow bubbles and kick holding onto a flutter board. Something new we have started is buddy reading with Room 6. Each afternoon after swimming we all get our book boxes and buddy up with someone from Room 6. It has been fun getting to know the Room 6 students and listening to their reading too.